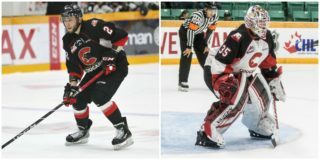 For the second time in 48-hours, the Prince George Cougars went to overtime, and again came up just short, falling 3-2 to the Moose Jaw Warriors on Tuesday night. 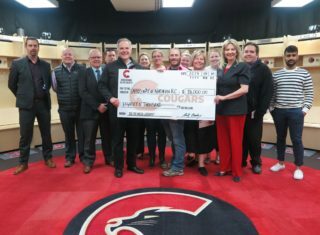 Former Cougar Justin Almeida scored the overtime-winner 30-seconds into the three-on-three frame, as the Warriors came back to sting the Cougars. 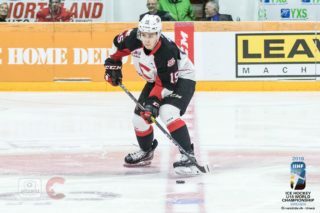 Tristan Langan and Jett Woo scored in regulation for Moose Jaw. Adam Evanoff stopped 24 of 25 shots in the Warriors’ crease. 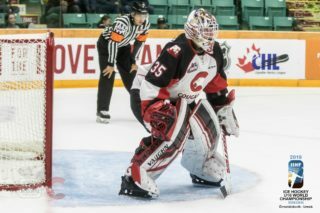 The Cougars, who had lost three-straight heading into Tuesday’s game, also were missing a couple of key pieces in forward Josh Maser and goaltender Taylor Gauthier. 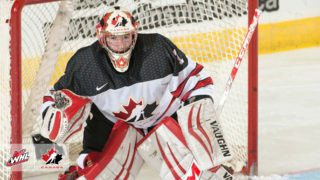 Maser began serving a three-game suspension and Gauthier was away at the Sherwin-Williams CHL/NHL Top Prospects Game. Despite missing those two, the Cougars got sound goaltending from Isaiah DiLaura, who stopped 13 of 16 shots, and at one point they led 2-0 in the second period. Ilijah Colina and Vladislav Mikhalchuk scored in regulation. The Cougars, for over 60-minutes, stifled the Warriors top guns, surrendering just 15 shots in regulation and just three in the third period. In a tight-checking first period, Colina opened the scoring late, finishing off an odd-man rush at 18:07, to score his first goal since December 2nd. Mikhalchuk added to the lead early in the second, scoring at 3:51 after a generous boune off the boards behind the net to make it 2-0. But the Warriors then started to chip away. Tristan Langan, who came into Tuesday’s game tied for third in the WHL scoring race, made it 2-1 at 7:12 of the middle frame, tipping in Josh Brook’s point-shot. Then Jett Woo tied it in the third period, walking in from the blue-line and roofing a shot over DiLaura’s blocker at 6:14. The Cougars had a great chance to win the game in opening moments of overtime, but Josh Curtis had his shot kicked-out from the slot. That rebound eventually came to Langan, who skated back the other way on a two-on-oh rush and set up Almeida for the game-winner. UP NEXT:The Cougars (16-24-3-2) embark on a three-game Central Division road trip, starting Friday against the Calgary Hitmen (21-19-3-1); the puck drops at 6 pm PT. Fans can listen to the game on 94.3 The GOAT, or watch on WHL Live.